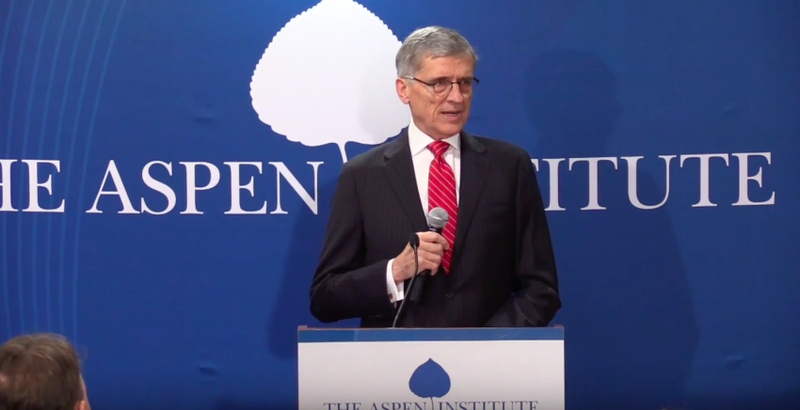 Today, Wheeler spoke at the Aspen Institute in his final address as FCC chairman. During the address, the chairman used a large portion of his time to make a final plea to keep net neutrality rules in place. Chairman Wheeler spent only a couple of minutes talking about some of the decisions and priorities of his commission. He then quickly shifted to the growing tensions over existing net neutrality rules, and why it would be a huge blow to consumers if they’re substantially revoked. In a rather fiery moment, Wheeler cited AT&T’s zero-rating DirecTV Now deal that essentially skirts net neutrality rules. He called back to the “porting debates” that hindered video providers prior to the ruling. He did not specially mention the Netflix and Verizon deal by name. Despite the harsh realities mentioned by Wheeler, it likely won’t be enough to save net neutrality rules from the two remaining FCC commissioners, both members of the GOP. Wheeler’s speech was great today, but unfortunately, it probably won’t be enough.